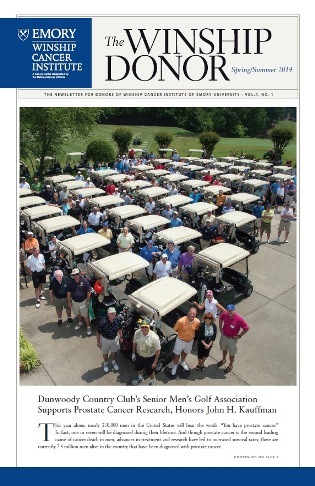 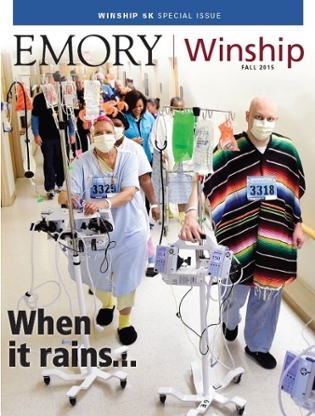 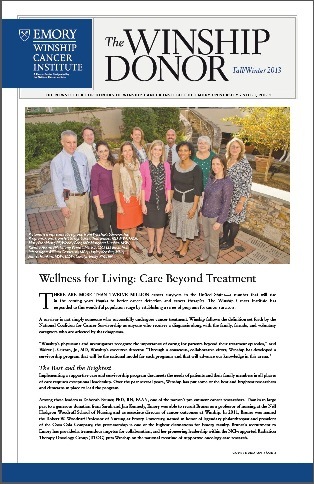 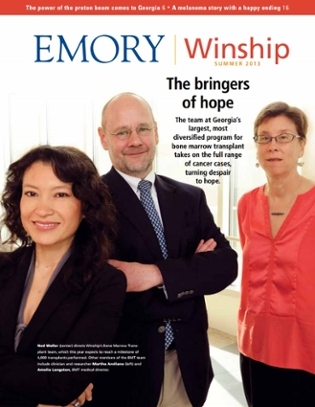 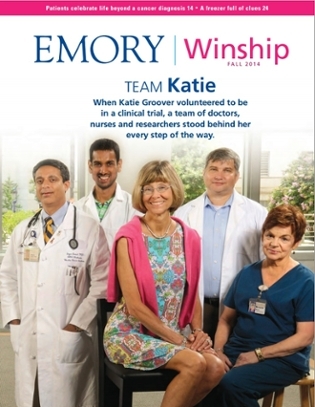 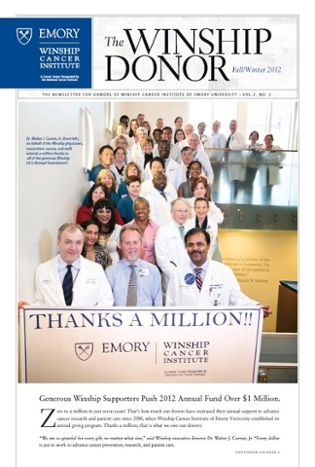 A collection of print publications by Winship Cancer Institute of Emory University. 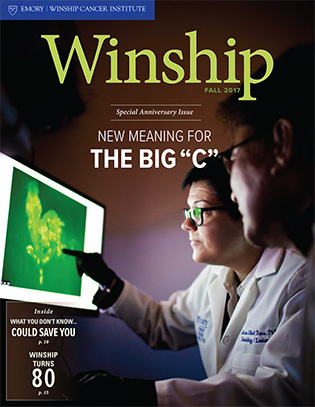 In this issue: New Meaning for the Big "C" | The Winship 80 | What you don't know...could save you | A Better Angel of Our Nature & On the Runway and more. 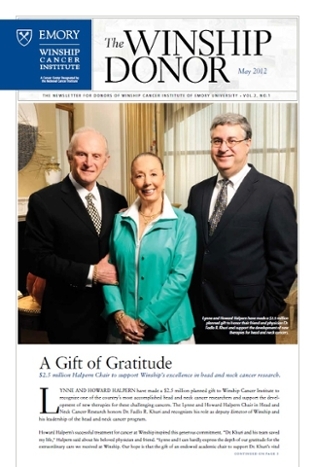 In this issue: Home Grown | What is That? 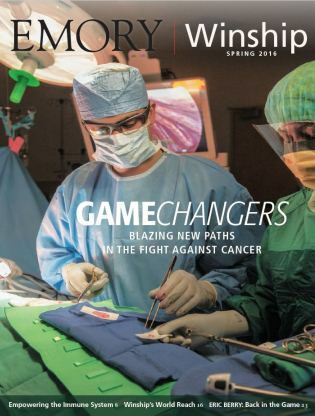 | Living with Prostate Cancer | How a Cancer Drug Gets to Market | Behind the Scenes & On the Runway and more. 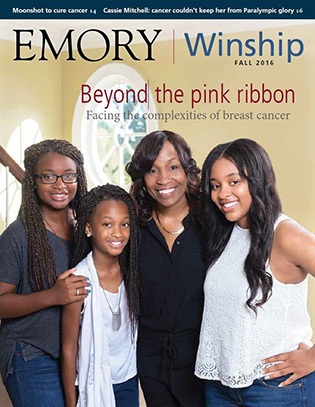 In this issue: Beyond the Pink Ribbon | You Inspire Us | The Cancer Moonshot | Why I Run | Champion for Lung Cancer Research | When Cancer Comes Back and more. 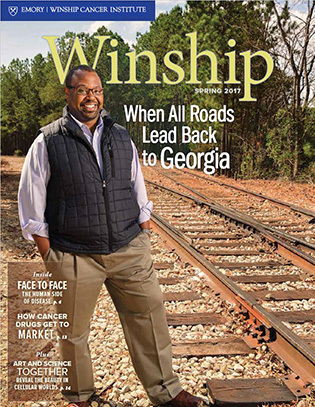 In this issue: Winship 5K: Early Detection, Early Removal | Empowering the Immune System | Eric Berry No. 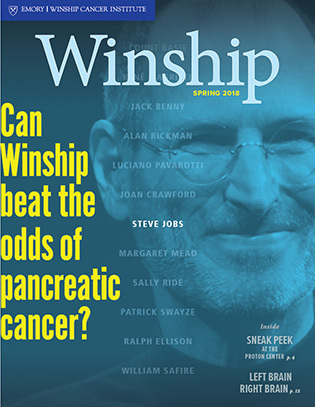 29 Back in the Game | Winship's World Reach | A Year in the Life of Jimmy Carter | Game Changers in Philanthropy | Supporting Winship Night & Day | Navigating the Language of Cancer and more. 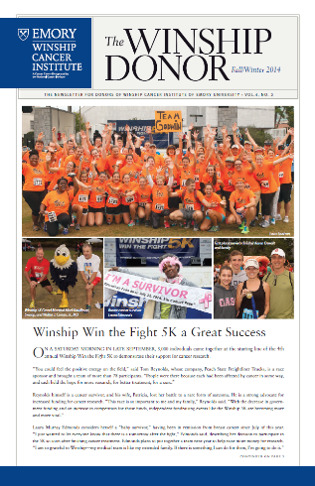 In this issue: Winship 5K: Five Years Running | Facing Cancer a Second Time | Our Military Heroes | | Chasing Down Genetic Risks | Helping and Healing a Community | Making a Case for Fundamental Scientific Research and more. 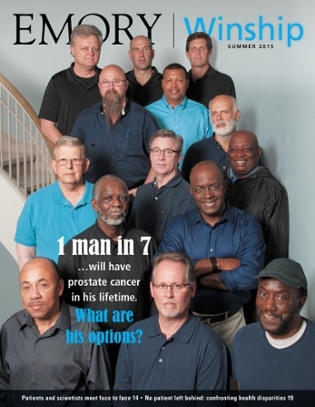 In this issue: Navigating Prostate Cancer | From Bench to Bedside | No Patient Left Behind: Confronting Health Disparities and more. 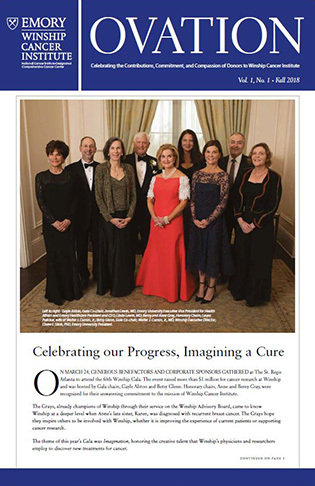 In this issue: Stepping Up for Science | Faces of Hope | Every Cancer is Personal | Finding Answers in the Freezer and more. 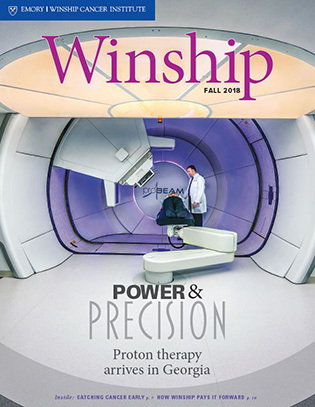 In this issue: The Power of the Proton Beam | Bringers of Hope | The Early Catch | Generation Next and more. 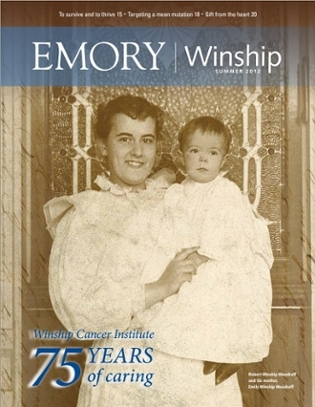 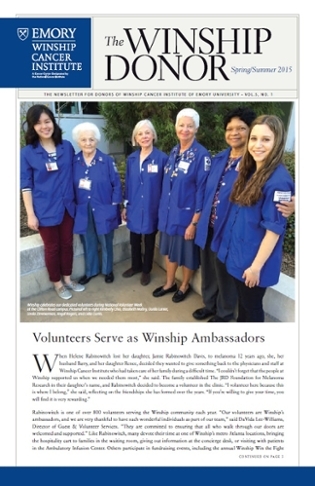 In this issue: 75 Years of Caring | Winship Continues to Serve and Grow | Teamwork by the Dozens | To Survive and to Thrive | Targeting a Mean Mutation and more. 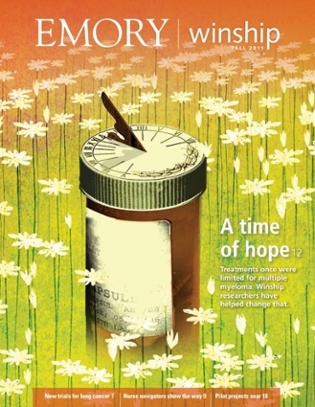 In this issue: Shifting the Treatment Paradigm | Smoothing the Way | A Time of Hope | Poised for Takeoff | Going the Extra Miles and more.